Top Boston Events for September 2019 include open art studios, outdoor markets, Harbor cruises, huge concerts at Fenway Park and Gillette Stadium, Hamilton at the Boston Opera House, and two huge bicycle events. The city buzzes with energy as college and university students return. Labor Day Weekend events plus the final days of Boston Harbor Hotel's Blues Barge Jazz Concerts and Summer in the City movies on the waterfront get September off to an exciting start. New England Patriots fans rejoice as the team kicks off the first regular season game at Gillette Stadium. 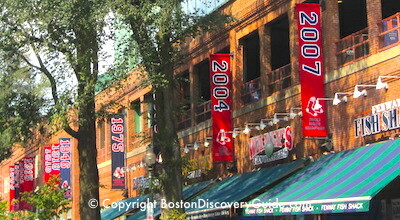 Red Sox fans contemplate the playoffs - will this be another World Series win? 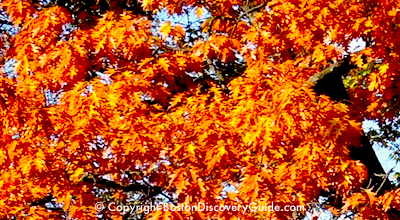 Toward the end of the month, you may begin to start seeing glimpses of fall foliage color - every year is different! Labor Day takes place on Monday, September 2. 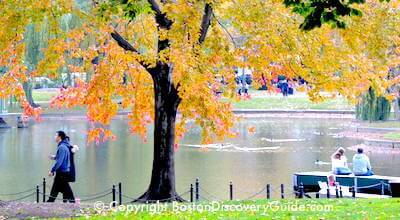 Wondering what to do in Boston on Labor Day Weekend? 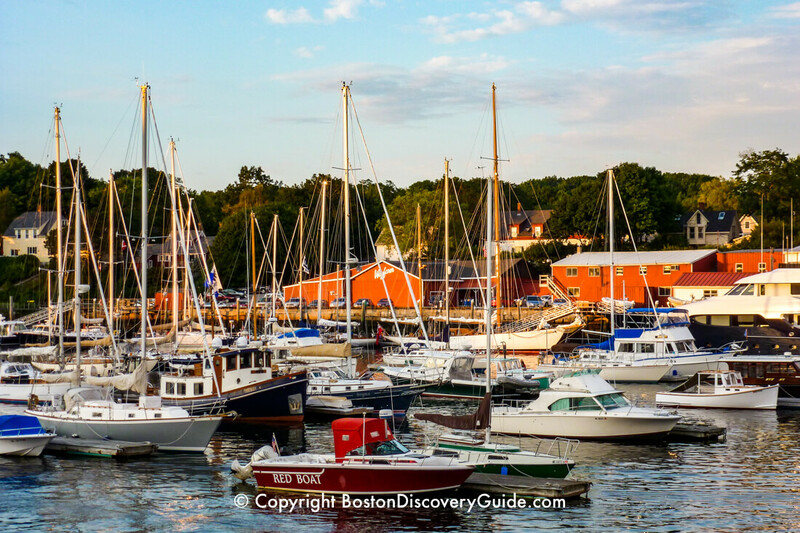 Most Boston locals head to the Cape, the Islands (Nantucket and the Vineyard), or the mountains - so if you're planning a Labor Day, you'll find it easier than usual to make reservations easily in local restaurants, get affordable tickets for a Red Sox game, see a show, cruise around Boston Harbor, go shopping for Labor Day sales - and even find some Boston hotel bargains. 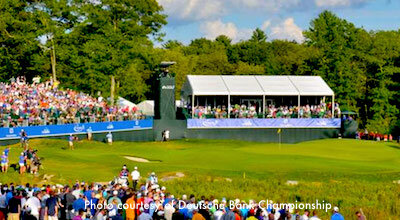 Top Labor Day Weekend event: Golf's top 100 PGA Tour golfers compete for an $8.5 million purse in the Dell Technologies Championship to benefit New England charities. The defending champion will take on past champions. TPC Boston, named by Golf Digest as one of the "Top 10 Best New Private Clubs in the U.S." when it opened, is located in Norton, MA, 38 miles south of Boston. 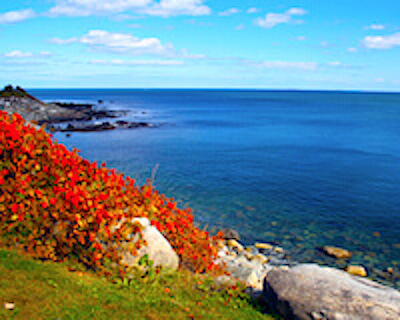 This New England Coastal All-Day Tour gives you spectacular views of the beautiful New England coastline along Massachusetts, New Hampshire, and Maine. 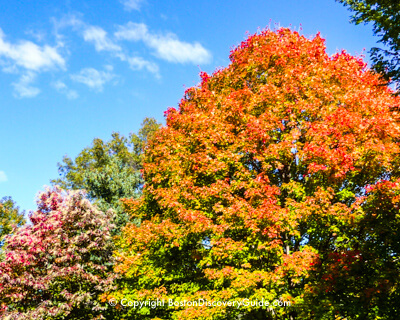 Toward the end of September, you'll probably begin to see brilliant foliage as you go north. 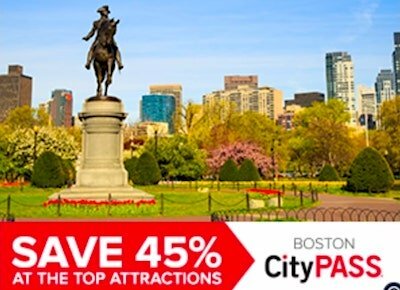 Pickup and dropoff from select Boston hotels is included. 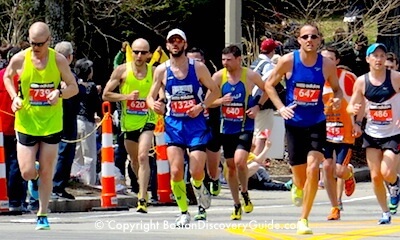 Registration for the Boston Marathon begins on Monday, September 9 (date to be confirmed) at 10am ET for the race to be held in April, 2020. It takes place on a rolling basis over the course of 2 weeks, with runners with times 20 minutes or more below the Marathon qualifying times for their age/gender going first. Registration is not guaranteed, even if you meet the qualifying standard for your bracket, as the number of people who want to run always exceeds the race's capacity, which is usually about 27,000 competitors. You can find more details at www.baa.org. 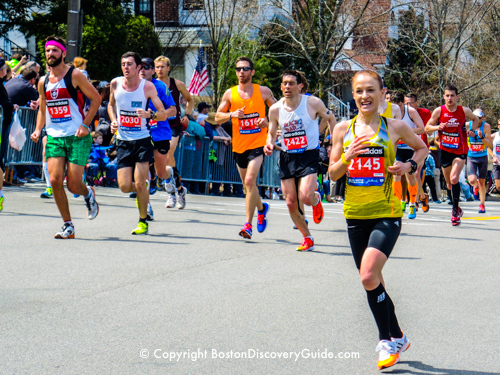 Hotels fill up early for Marathon weekend, and rates increase the longer you wait to make reservations - so check out Boston Marathon hotels now! 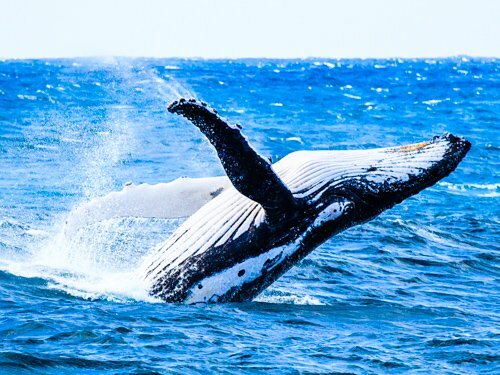 Experience another world when you visit Martha's Vineyard, a small island south of Cape Cod with beautiful beaches and scenery, quaint cottages (and huge mansions), and chic clothing boutiques and art galleries. 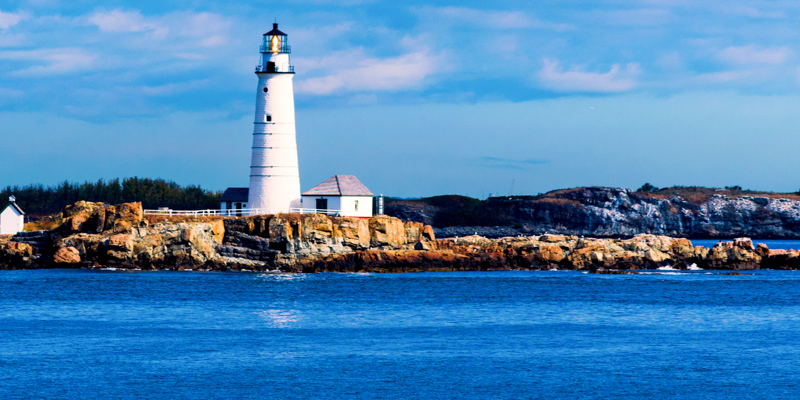 After pickup from downtown hotels, a comfortable coach ride to Cape Cod, and a short ferry ride to the Vineyard, you'll have the day to explore all the local sights including the iconic lighthouse, cliffs, and whaling captains' homes. 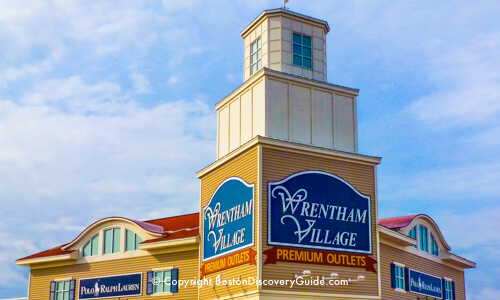 - Find out more about the trip to Martha's Vineyard & book your trip! 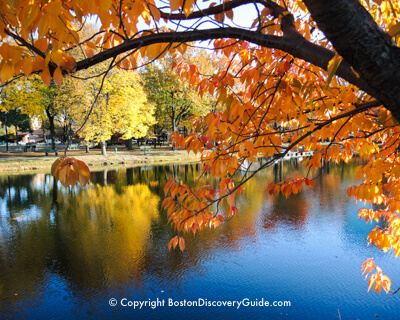 Leaves may still be green in Boston in September, so if you want to see gorgeous foliage, you need to go outside of the city where you'll start to see lots of spectacular colors by mid-month. 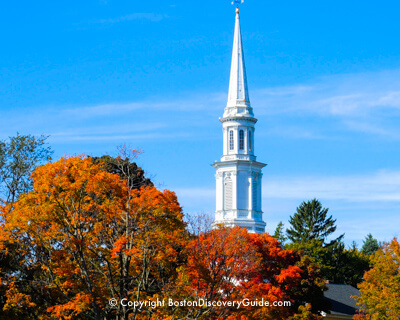 Luxury 1-day fall foliage tours take you to the best viewing locations in New Hampshire, Maine, and even the Cape (although you'll see more color in the Cape in October). Sit back and relax while someone else drives and you get to enjoy all the scenery! Top September shows include Billy Joel and The Who at Fenway Park, Jason Aldean & Kane Brown at Xfinity Center, King Crimson at Wang Theatre, and Dodie Clark at House of Blues. 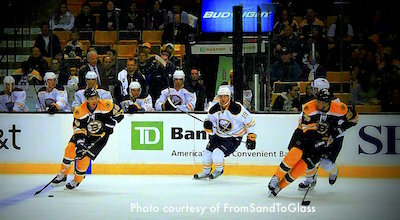 The Boston Bruins launch their 2019 season with two preseason games at the Garden in September. Come join the excitement on the ice! Two New England Patriots home games take place at Gillette Stadium during September, plus one pre-season game at Gillette in early September - so don't miss this chance to welcome the Pats back for the new season! 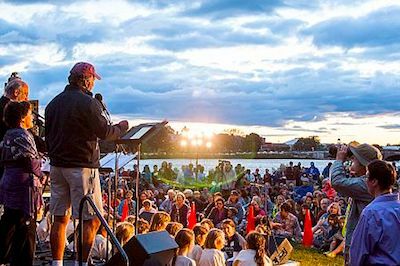 The free annual Revels RiverSing welcomes fall with a family-friendly Autumn Equinox celebrationat their new riverfront location at Herter Park Amphitheater in Allston on Saturday, September 21, 5pm-7:30pm (rain or shine). Family activities begin at 5pm. Singing begins at 6pm. This free theatrical event features over 100 performers of music and song, along with poetry readings, acrobats, circus performers, puppets, and a folk band. Best of all, you get to join in! Even though the holiday season still seems far away, don't forget to also put Christmas Revels, a beloved Boston tradition, on your calendar for December. 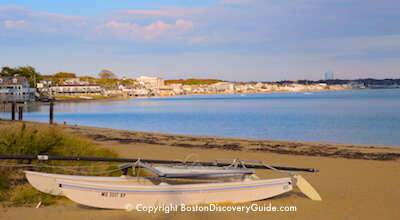 Need an excuse to squeeze in one more beach day? Stop by the Revere Beach Art Festival where local artists and Revere High School students display their work near the Markey Pedestrian Bridge, which connects the Wonderland T station with the beach. Watch as artists create masterpieces before your eyes for the festival's live art competition, and then stop by Kelly's for a fried clam platter. 25 Jazz Ensembles positioned along a series of connected walkable locations along a 2-mile loop of Boston's Esplanade between Community Boating (near the MGH/Charles St T station) and the Fairfield Street Footbridge will each play their own rendition of a single shared playlist of Boston-related tunes. This free event takes place on Sunday, September 23, 2-4pm. What exactly is "Allston Christmas"? 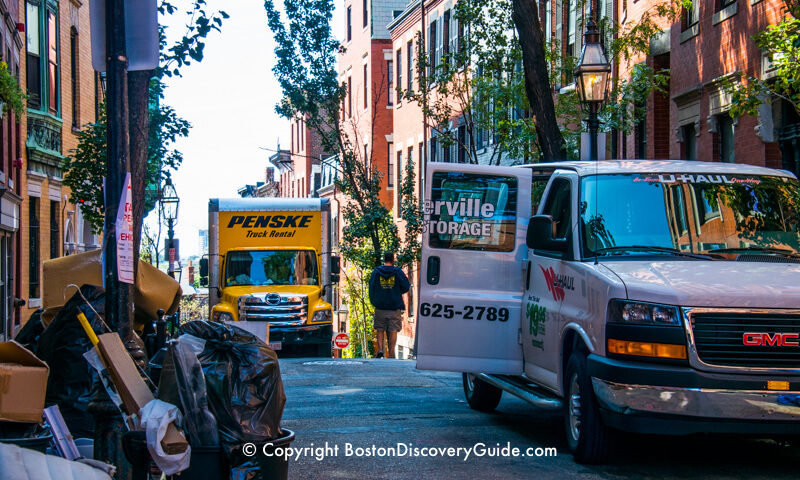 When the Boston area's roughly 250,000 college students return to campus in September, a significant number move into apartments, just as others move out at the end of August and dump unwanted furniture including queen-sized beds and massive couches, household items, and clothes on the sidewalks and into the streets, up for grabs. Allston along with Brighton, Longwood, Mission Hill, Beacon Hill, Cambridge, and parts of Brookline are the most-impacted Boston neighborhoods due to their large number of student residents. With countless UHauls blocking the streets and gridlocking traffic for a couple of days before and after September 1, you may want to avoid these areas if you're visiting the city during this period - unless you want to try your luck at finding the perfect mirror or nice pair of lamps among the debris. 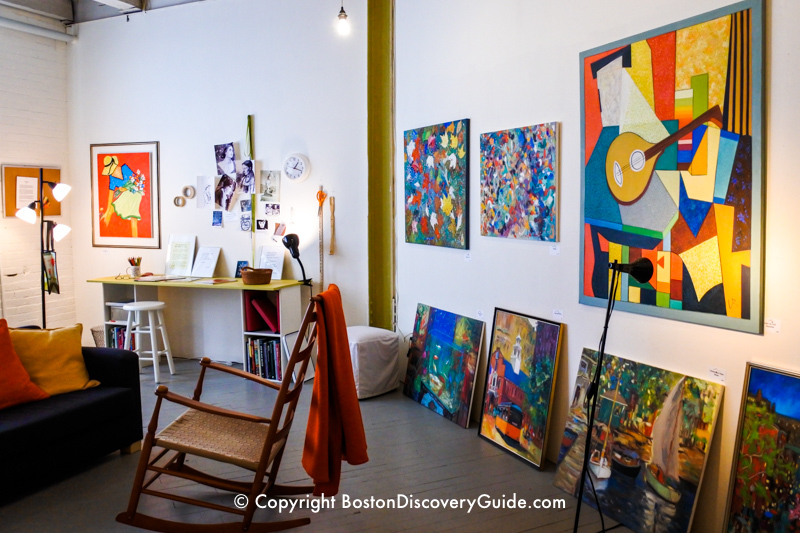 South End Open Studios provide a glimpse into more than 200 studios and galleries of some of the city's top artists - and a chance to buy directly from the creators of the pieces on display. What to look for: Everything from fine arts to hand-built bicycles, from home decor to installation art. Be sure to check out the in-studio demonstrations involving photography, quilts, and letterpress printing. 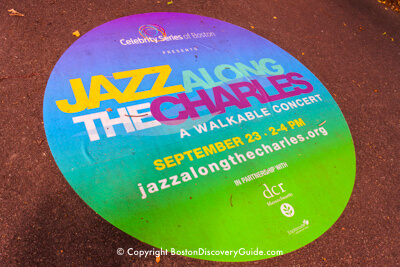 Getting around: Pick up a free printed guide with maps at the information tables at Boston Center for the Arts (551 Tremont Street) and on the sidewalk in front of 560 Harrison Ave, and plot your route among the galleries (look for the free shuttle if you get tired of walking). This is the biggest art event in the South End, with all the major studios and art buildings will be open. 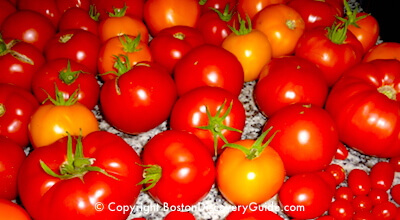 See even more on Sunday at SoWa Open Market. 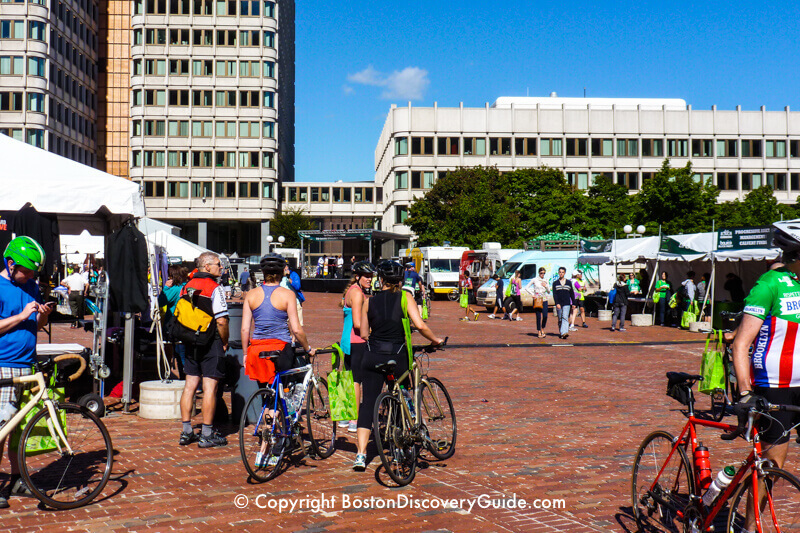 Bikers take over Boston during TD Hub on Wheels on Sunday, September 16. Experience biking along a car-free (!) 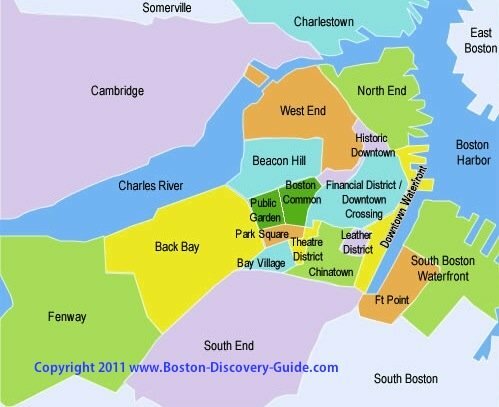 Storrow Drive and journey through Boston's Emerald Necklace of parkland and neighborhoods (most streets in these areas will not be closed) along a 40-mile loop, or do the family-friendly 10-mile loop. Both courses start and end at City Hall Plaza in Downtown Boston. If you want to participate, bring your bike to City Hall Plaza for Hub on Wheels on Sunday. Jazz will fill the air at free concerts during the annual Berklee BeanTown Jazz Festival on Saturday, September 29, with local musicians, Berklee College students, and faculty joining superstars in stellar performances of jazz, Latin, blues, funk, and groove. The festival takes place on three stages along a 6-block stretch of Columbus Ave. You'll also find terrific food, arts, and crafts, and even an instrument "petting zoo" for kids. Bring a blanket or a lawn chair, and enjoy the warm September Friday evening watching a classic film at Frog Pond on Boston Common. The movie starts at dusk (7pm). Please note: The film will be canceled in the case of bad weather. The Carousel will remain open until the film starts (carousel admission: $3). Popcorn and other refreshments will be available for purchase at the Pavilion. Get ready to drool when you see a vintage and a new Bugatti among the 100 exceptional cars on display at The Boston Cup classic car show on Boston Common. 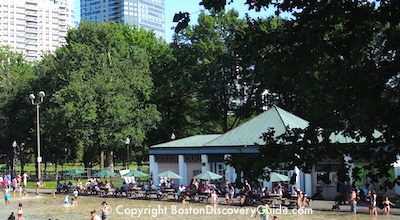 The show takes place on September 23, 9am - 2pm near the Parkman Bandstand. Tickets are not cheap - $50 and $100, depending on the type of access you want - but the City gets reimbursed about $25,000 per year for this private use of the "People's Park." Don't want to spring for a ticket? 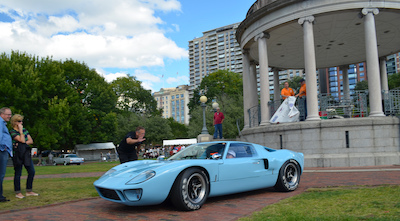 You can still get a look at the cars as they leave the Common around 2pm. 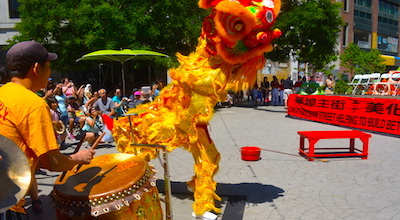 The Chinatown Lantern Festival takes place this year on Saturday, September 22, 10am-6pm in Boston's lively Chinatown. You'll enjoy a day of festivities, games, and special mooncakes to celebrate the traditional Chinese Mid-Autumn Festival. 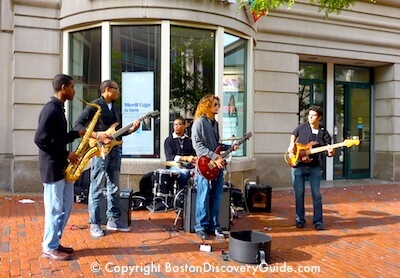 Many of the activities take place in the Chinatown park on the Rose Kennedy Greenway, but you'll find lots going on throughout the neighborhood. And while you're there, take advantage of the opportunity to enjoy a meal in one of Chinatown's best restaurants. The free admission Local Food Festival, taking place on Sunday, September 16 from 11am - 5pm on the Rose Kennedy Greenway from the North End to South Station gives you the chance to sample the best fresh food from local farms and fishermen, plus local wines, beers, cider, and mead. With lots of music and art by local talent, chefs to prepare the food samples (mostly around $5 or less) from locally sourced food, a seafood throwdown competition, family activities, and exhibits about sustainably grown and produced food, you can have lots of fun enjoying some local flavors at this free festival! 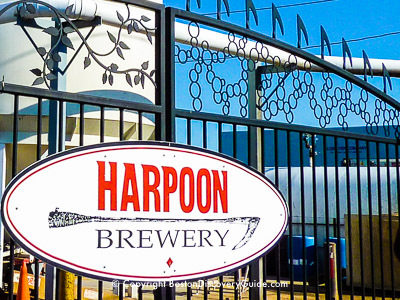 Harpoon Brewery's 23rd annual German-style OctoberFest boasts 3 stages with live music, a big selection of Harpoon beers and ales, and lots of bratwurst and other German food sold by a local restaurant. Come do some Chicken Dancing, keg bowling, and enjoy 3 stages filled with German Oompah bands at one of New England's largest OctoberFests. Try your luck at this year's new events: a German chocolate-eating contests! 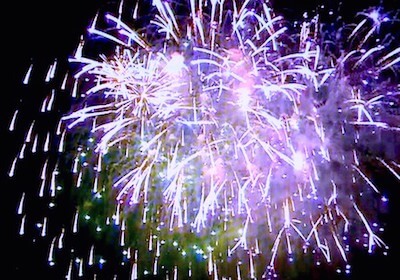 Cost: $25 - includes one drink ticket and a souvenir cup (additional cost for food and additional drinks); bring a designated driver who will receive complimentary non-alcoholic beverages - or stay over in a nearby South Boston Waterfront hotels so that everybody can have fun). General Admission tickets are not sold in advance - so pay at the door (cash only). 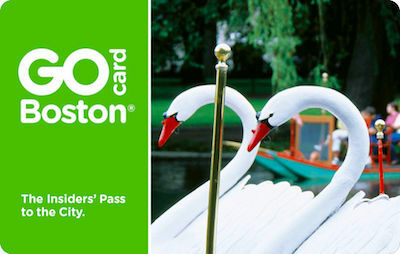 You can also buy Early Access passes - see Harpoon's website for details. Look for 4 exciting days of feature, documentary, and short films focused on issues of importance and interest to the Latino community in the US, Latin America, and Spain, plus receptions and other special events. 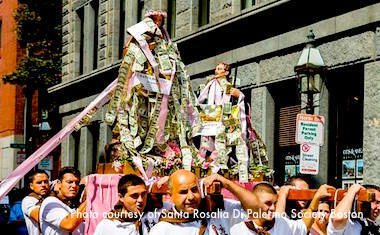 Boston's North End Italian Feasts and Festivals take place throughout the summer and early, as they have for 100 years or more - almost as long as Italians have lived in this neighborhood. San Gennaro Feast - September 20, 21, 22 (dates to be confirmed) - Hanover & Battery Streets near Commercial Street - look for big-name entertainment and plenty of great food! 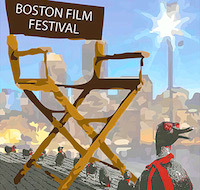 Actors, filmmakers, and film enthusiasts look forward to the annual Boston Film Festival for a chance to view the stellar line up and world premiers. The line up includes an exciting array of diverse features, documentaries, and shorts from emerging artists to world-famous award winners. Question and answer sessions, discussions, and evening receptions hosted by top restaurants provide plenty of opportunities to chat with directors and network.